Congratulations to our skaters and coaches! 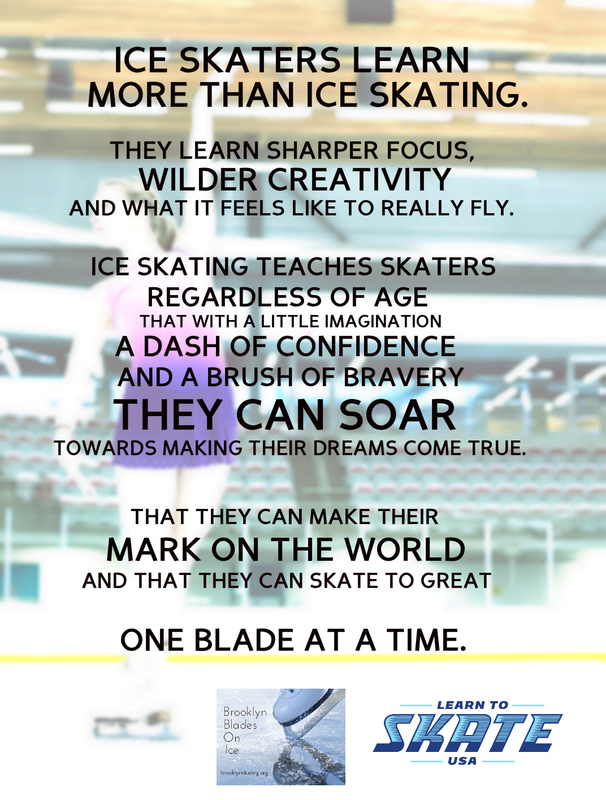 While our rink may not have had ice this summer, our skaters and coaches were busy making us proud! On August 5, 28 skaters from both our Brooklyn Blades on Ice staff and members of the Brooklyn Figure Skating Club competed in the U.S. Figure Skating National Showcase competition in Brighton, Michigan. Our Production Ensemble group placed 9th in a very competitive field of skaters from all over the country – and they rocked their ‘Dazed and Confused’ 1970s themed routine! Congratulations also to Vivian Gabbard, Crystal Greene, Melissa Greene, Anastasia Migyanko and Chloe O’Brien for great skates in the solo and duet events! 2018-19 Learn-To-Skate Schedule is available! One more week until classes begin!